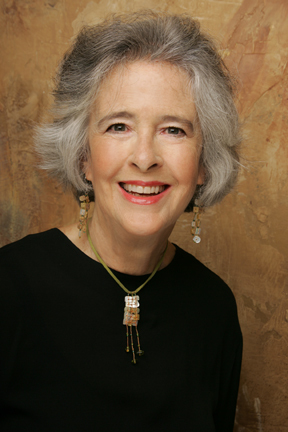 Eleanor Cory’s work has been recognized by awards from the National Endowment for the Arts, New York State Council on the Arts, New York Foundation for the Arts, Mary Flagler Cary Charitable Trust, Fromm Foundation of Harvard University, Aaron Copland Fund, Alice M. Ditson Fund of Columbia University, Morse Grant of Yale University, MacDowell Colony, and PSC-CUNY Research Foundation. She has received an American Composers Alliance Recording Award, the Miriam Gideon Award from the International Association of Women in Music, as well as prizes from the Hollybush, Kucyna, and Music of Changes International Competitions, and the Davenport, and New Jersey Guild of Composers Competitions. Her music is recorded on three solo CDs: Chasing Time (Albany, 2008), Of Mere Being (CRI, 2002), and Images, (Soundspells, 1996) as well as on the CRI American Masters Series: Eleanor Cory and Ellen Taaffe Zwilich (CRI); ACA Recording Award Winners (CRI); and The Music of Eeanor Cory and Edward Cohen (CRI). Additional recordings are on the Opus One, Capstone, and Advance labels. Her music is published by C.F. Peters, APNM (The Association for the Promotion of New Music), Soundspells Productions/Phantom Press, and the American Composers Alliance. Her music has been performed throughout the United States and in England, the Soviet Union, Canada, and Poland. Performances and commissions of her work include the New Jersey Symphony (Hugh Wolff), Hudson Valley Philharmonic (JoAnn Falletta), Chamber Symphony of Princeton, Colonial Symphony, St. Luke’s Chamber Ensemble, New York New Music Ensemble, DaCapo Chamber Players, Speculum Musicae, Atlantic String Quartet, Cygnus Ensemble, League-ISCM, Washington Square Contemporary Music Series, Bronx Arts Ensemble, North/South Consonance Ensemble, Composers Concordance, Guild of Composers, Momenta String Quartet, Friends and Enemies of New Music, CUBE Ensemble of Chicago, New York Virtuoso Singers, Gregg Smith Singers, Greenwich Village Singers, Take Dance Company (Jacob’s Pillow), Alea III, Earplay, Contemporary Chamber Players of the University of Chicago (Ralph Shapey), New York Camerata, and soloists Ursula Oppens, Curtis Macomber, Margaret Kampmeier, Christopher Oldfather, Elizabeth Farnum, Alek Karis, Gregory Fulkerson, Jayn Rosenfeld, Sue Ann Kahn, Patricia Spencer, Chris Finckel, David Holzman, and Louise Schulman. She studied at Sarah Lawrence College (BA), Harvard Graduate School of Education (MAT), New England Conservatory (MM), and Columbia University (DMA). Her compostition teachers include Charles Wuorinen, Chou Wen-chung, Bulent Arel and Meyer Kupferman. She has taught at Yale University, Baruch College, CUNY, Manhattan School of Music, Sarah Lawrence College, Brooklyn College, CUNY, and The New School for Social Research and currently teaches at Mannes College of Music Prep Division and Kingsborough Community College, CUNY.